Small business, large business, industrial complexes…from sole proprietors to successful franchises, enterprises everywhere are at risk of security breaches. Maybe it’s theft, unexplained inventory shortages, shoplifting, fraud or employee productivity; no matter what your top concerns are, Boyd & Associates can furnish you with the solutions. No risk is too nominal, and no hazard is too extensive to implement the preventive measures we offer. 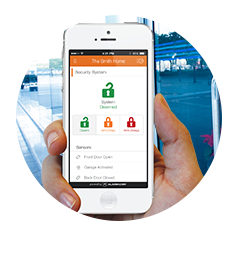 Icons and menu-driven prompts make security system operation easy and intuitive, wherever you are. 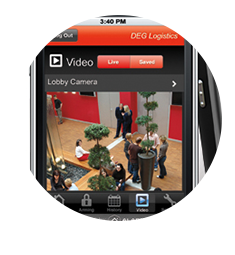 Set custom arm and disarm schedules & get real-time notifications in-app or via text message. 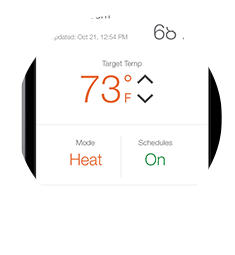 Manage energy usage and set custom schedules right from your mobile device. Boyd Security lets you stay connected to your business and maximize energy cost savings. With 24/7 monitoring services, your business gets the immediate help you need in the event of alarm activation. Professional agents are standing by ready to respond and assist when your alarm activates. Should your alarm need servicing, our factory trained technicians can quickly come to your aid to remedy the problem. Our services are specifically designed around your needs by providing security consultancy along with long and short-term Sentry and Patrol Services. All of our professionally trained security officers are equipped to handle any security challenge. Whether in patrol or on foot, armed or unarmed, our officers are fully prepared to meet and resolve any security challenge, at any time. As a fellow local business, we understand concepts of return on investment, operational effectiveness and premise liability. For more information, contact Boyd & Associates today for a complimentary security analysis of your commercial property. We look forward to discussing your wide range of security options.